The head of the largest U.S. government employer says there is still a long way to go to remove uncertainty for federal employees despite the end of the government shutdown. "People have to have some confidence that they have a job that they can rely on," Defense Secretary Chuck Hagel told reporters at the Pentagon on Thursday. "We can't continue to do this to our people, having them live under this cloud of uncertainty." With a $680 billion budget, the Pentagon has the highest payroll of any federal agency as it supports 7.4 million active duty forces and 718,000 civilian workers. Hagel said the civilian defense workforce was hit hardest during the 16-day shutdown that ended on Thursday. Casey James Fury simply didn't want to be at work, and in the process cost the Navy nearly a half-billion dollars and one attack submarine. 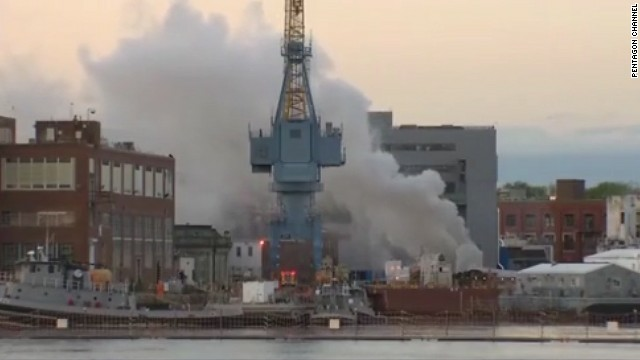 Fury admitted to setting fire to the USS Miami, a nuclear sub, in May 2012 while it was in dry dock. He was sentenced to 17 years in federal prison in March and ordered to pay $400 million in restitution - roughly the cost of the damage. The Navy won't see anything close to that amount from Fury, of course, but neither will it from Uncle Sam. On Tuesday, the Navy announced that despite the demand for attack submarines being "as strong as ever," the Miami is being inactivated. The reason: Under sequestration, the federal government's forced budget cuts, the Navy simply can't afford to make the repairs. The Defense Department is giving its employees a break by trimming furlough days. Secretary of Defense Chuck Hagel announced Tuesday that furloughs for workers would be cut to 6 days, from 11. Employees will take their last furloughs next week, instead of late September. 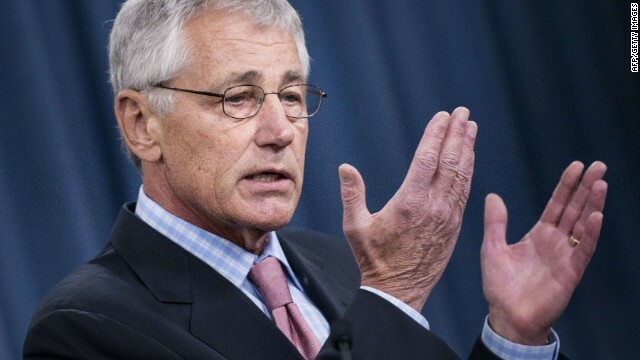 Hagel said he was able to win the reprieve by finding savings and cuts in other areas. Ever since July 8, some 650,000 defense workers have been taking one unpaid day off each week. It has effectively cut employee pay about 20% for nearly three months. The savings from 11 furlough days was only about $1.8 billion, a sliver of the $40 billion that the Pentagon had to cut as part of the sequester, or forced federal spending cuts. The size of the active-duty U.S. Army could fall to levels not seen since the 1950s if the Pentagon fully carries out voluntary and forced spending cuts totaling $100 billion annually over the next decade, Defense Secretary Chuck Hagel said on Wednesday. Hagel outlined a series of worst-case scenarios - including potential pay and benefit reductions for active duty forces, civilian personnel and retirees - that would also impact the Navy, Marines and the Air Force if steps to ease the one-two austerity punch are not taken. "This strategic choice would result in a force that would be technologically dominant, but would be much smaller and able to go fewer places and do fewer things, especially if crises occurred at the same time in different regions of the world," Hagel said. Hagel said "everything is on the table." It was Hagel's most comprehensive assessment of the financial challenges facing the Pentagon through the early part of the next decade. His comments came just as Congress prepares to head home for its August break after which lawmakers and the Obama administration will again face key fiscal decisions on spending and federal borrowing. The Pentagon is facing cuts of roughly equal value - $500 billion - in two areas over the next decade. The first covers mandated, government-wide austerity that took effect in March after the inability of Congress and the administration to reach a deficit-reduction deal. The Pentagon's share of those cuts is roughly half of the overall government total. The military also is planning to slash spending voluntarily as it moves away from more than a decade of warfare in Iraq and Afghanistan and prepares to reorganize and become more nimble. Under the analysis, Hagel said the Army could have nearly 200,000 fewer soldiers compared to its recent wartime high if the double-whammy of cuts hits full force. The active-duty Army could shrink to as low as 380,000 active-duty soldiers by 2017, as Hagel outlined a choice between cutting the size of the military or keeping its technological edge. The Army has not been that small since the 1950s. Hagel also suggested the Pentagon may have to eliminate three Navy aircraft carrier strike groups, slash the size of the Marines and mothball up to five of the Air Force's combat air squadrons. Hagel's report followed a review by Pentagon officials examining the short and long-term effects of budget cuts on military strategy. The Pentagon will consider changing military health care for retirees to increase use of private sector insurance when available, and may change how the baseline housing allowance is calculated so individuals are asked to pay a little more. The military may also reduce the overseas cost-of-living adjustments and limit military and civilian pay increases. "Many will object to these ideas, and I want to be clear that we are not announcing any compensation changes today," Hagel said. But Defense officials admit overall personnel costs have risen 40% above inflation since 2001. "The Department cannot afford to sustain this growth," Hagel said. Congress will have to sign off on some of the cuts Hagel suggested. For instance, the Pentagon previously tried to impose small increases in health care fees for its working-age retirees. But leaders on Capitol Hill pushed back. 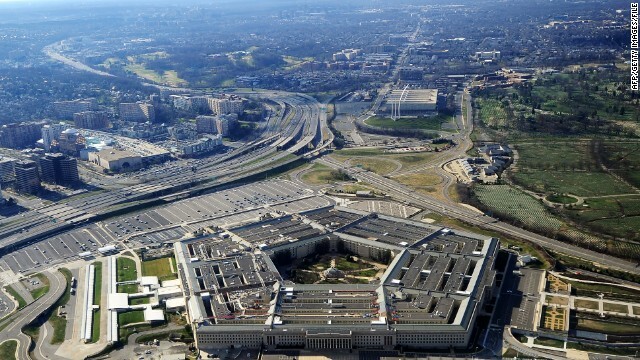 Now the Pentagon is signaling it will be forced to push for bigger cuts, affecting both military and civilian personnel. Hagel described the Pentagon's current compensation plan as unsustainable if the sequester and voluntary spending reductions are imposed full force. "If left unchecked, pay and benefits will continue to eat into our readiness and modernization. That could result in a far less capable force that is well-compensated, but poorly trained and poorly equipped," he said. Secretary of Defense Chuck Hagel, the former enlisted man who earned his sergeant stripes as a grunt in the jungles of Vietnam, is cutting the budgets of the Pentagon's top brass by 20%. And he's sharing the pain, cutting his own office budget by a like amount. WASHINGTON (CNN) - Defense Secretary Chuck Hagel quoted President Dwight Eisenhower Wednesday, telling rising military officers "the wise and prudent administration of the vast resources required by defense calls for extraordinary skill." 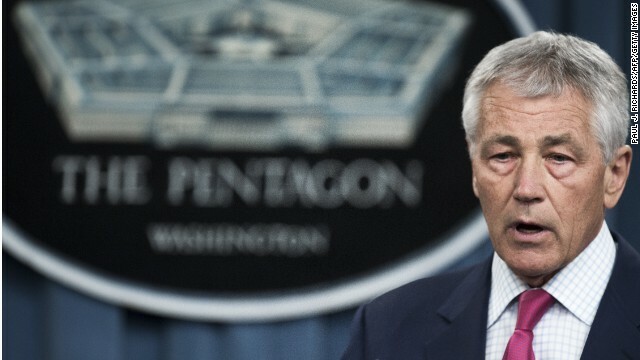 In his first major policy speech since taking over the Pentagon, Hagel focused on the budget problems facing the Defense Department and the rest of the government. "A combination of fiscal pressures and a gridlocked political process has led to far more abrupt and deeper reductions than were planned for or expected. Now DoD is grappling with the serious and immediate challenge of sequester - which is forcing us to take as much as a $41 billion cut in this current fiscal year," Hagel said at the National Defense University at Fort McNair. He warned that much of the burden of that fiscal pressure will fall on DoD employees. 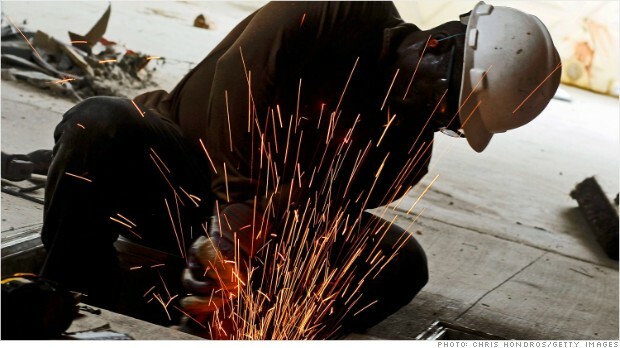 CNN's Elise Labott looks at how U.S. foreign aid could be affected by the forced spending cuts. Time is running out: unless Congress acts by March first - $85 billion in massive spending cuts will kick in automatically. Two million federal workers face furloughs. But one way or another the impact may be felt by most Americans. The White House warns that 10-thousand teacher jobs would be at risk and 70-thousand children could be removed from Head Start. The cuts would hit during tax season - meaning millions of taxpayers would have an even tougher time getting answers from the IRS. CNN's Chris Lawrence has been looking at other areas where you may feel the sting. State Department spending would drop by more than $2 billion this year under mandatory, government-wide budget cuts due to take effect in March. 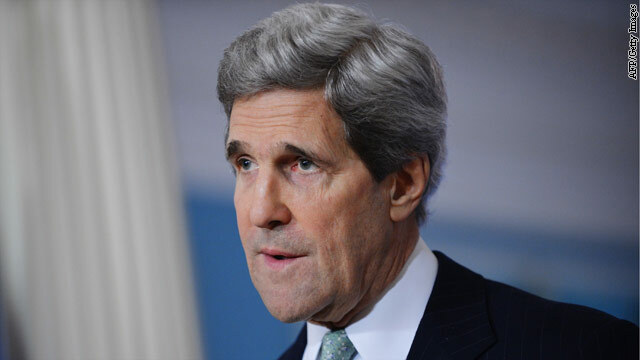 Secretary of State John Kerry detailed the cuts, known formally as sequestration, in a letter to Senate Appropriations Committee Chairwoman Barbara Mikulski, saying they would have far-reaching consequences. "Our ability to influence and shape world events, protect U.S. interests, increase job-creating opportunities for American businesses, prevent conflict, protect our citizens overseas, and defeat terrorism before it reaches our shores depends on day-to-day diplomatic engagement and increased prosperity worldwide," Kerry said. He also said the cuts would "severely impair" efforts to "enhance security" of government facilities overseas and "ensure the safety of the thousands of U.S. diplomats serving the American people abroad." 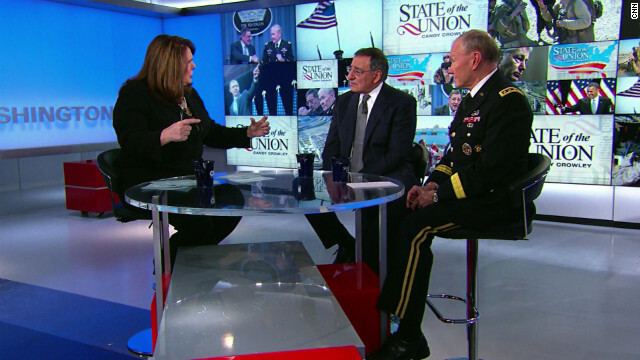 Outgoing Defense Secretary Leon Panetta said Sunday his "biggest concern" right now is the uncertainty over budget issues on Capitol Hill. "If the sequester is allowed to go into effect, I think it could seriously impact on the readiness in the United States," he said on CNN's "State of the Union." "And that's a serious issue." The U.S. military could face the start of $500 billion in budget cuts in about a month if Congress fails to come up with a budget plan that avoids the so-called sequester, a serious of automatic, across-the-board spending cuts spread out over the next decade.